Terminator: Genisys Review | News by Wales Express News, People Before Profit! 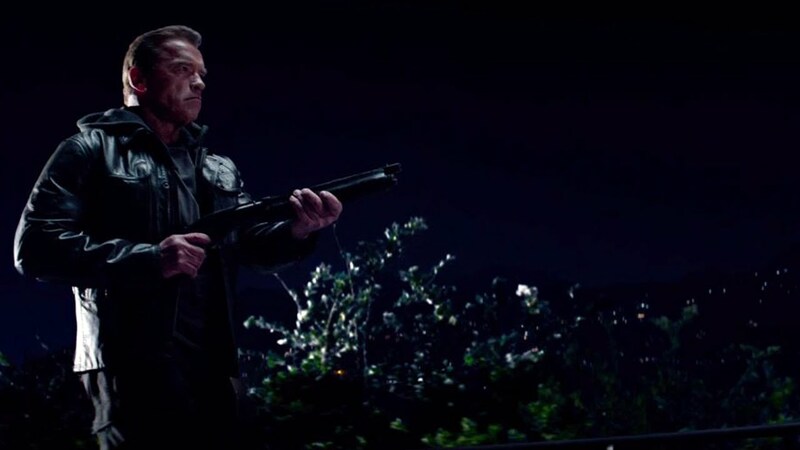 ARNOLD Schwarzenegger returns to the franchise that turned him into a superstar with the fifth instalment, Terminator: Genisys, a genuinely disappointing and, once again, underwhelming attempt to replicate the memorability and entertainment of the first two films. Starting in 2029, the plotline of the original is redone when Kyle Reese (a flat Jai Courtney) is sent by the leader of the resistance John Connor (Jason Clarke) back to 1984 to protect John’s mother Sarah. Early scenes of the first film are also remade before the villainous Terminator (a CGI version of the younger Schwarzenegger with a body double) comes face to face with the heroic Terminator, known as Guardian (the Schwarzenegger of today). With help from Sarah (Emilia Clarke), who Guardian has been programmed to protect and prepare since she was a child, the other Terminator is destroyed, thus resetting the events of the original film from then on. With Kyle realising the mission he expected has changed, and following working with Guardian and Sarah to destroy another cyborg (Lee Byung-hun), it transpires that he and Sarah must time-travel to 2017 to prevent the deadly Skynet, renamed Genysis, from being launched. With a visibly-older Guardian meeting them there, it soon dawns that a reprogrammed John Connor, also sent from 2029, is prepared to thwart the plans of the trio, leading to a subsequent battle to save the world from calamity. Though it seems an interesting idea giving the film a slight reboot treatment and its use of parallel universe and time-travel, this is not a successful film whatsoever. While Rise of the Machines and Salvation barely succeeded on their own terms as action films but not as Terminator films, this one fails both as an action film and as a Terminator film. The action sequences come across as relatively dull and not having anywhere near the engagement factor that made the first two films so memorable to the genre of sci-fi action thriller. Though on a higher level than Transformers but certainly not by too much, the action does not grip and makes one wish that James Cameron or someone else like Joss Whedon was directing instead of Alan Taylor. The premise of having the older cyborg version of Schwarzenegger taking on his younger cyborg self does sound like an interesting idea, but the end result is just cyborgs attacking each other with a pace that lacks energy. When a bus crashes on the Golden Gate Bridge, slowly dangles off into the water and results in Guardian on the bridge holding onto Sarah who Kyle holds onto, the direction is so out-of-touch with engagement, one hopes Taylor never directs a Terminator film again. 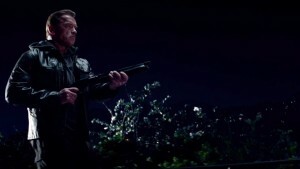 Schwarzenegger’s presence is understandably welcome and having him back in the lead role, unlike the previous film, is a decision that is more than justified for the franchise. Jason Clarke is far more suited to playing John Connor than the severely miscast Christian Bale, also of the previous film and Emilia Clarke is genuine as Sarah Connor, to the point that all deserve better. Jai Courtney however is an unwelcome presence in the film as Kyle Reese. He is not a good actor and though action films are not about acting well, the aim is to enjoy watching the heroes and Courtney is overtly unassuming in the part. This is quite a coincidence given how this is not the only time Courtney has starred in the weakest fifth instalment of a generally enjoyable franchise that kick-started in the 80s. Back in 2013, he played Bruce Willis’ son/sidekick in the forgettable A Good Day to Die Hard, so maybe casting him in franchises like Terminator and Die Hard is a complete flaw for which studios should strongly consider ignore him for. Though its plot does hint at a possible throwback to the entertainment value of the first two, Terminator: Genisys ends up not only as a boring, bland and unengaging action film, but also easily the weakest of the Terminator films.